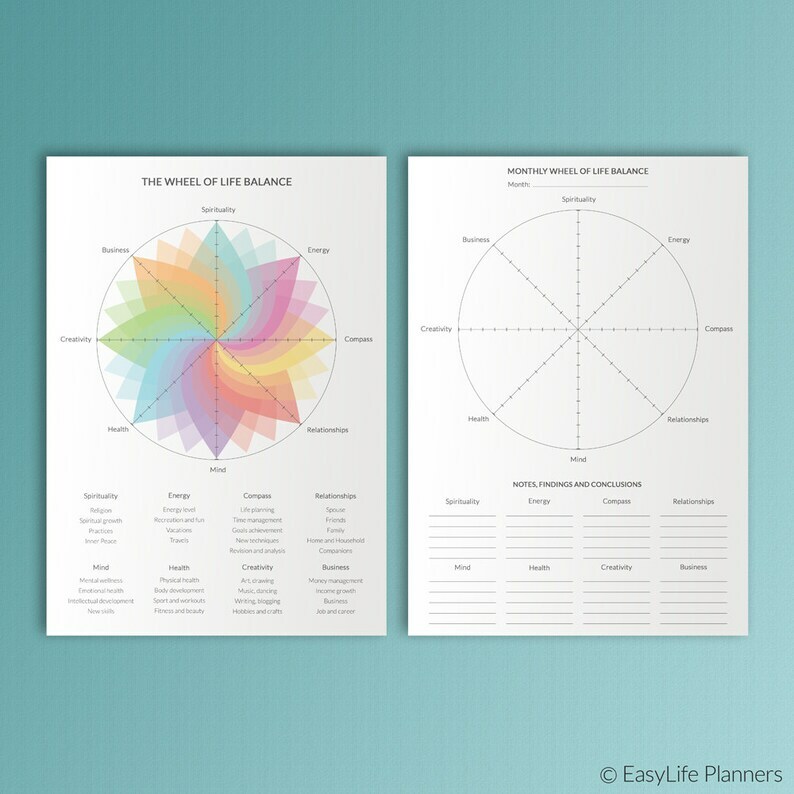 Life Balance Wheel Printable A4 Time and Money Management Household Spiritual Growth Goals Personal Development Instant Download. 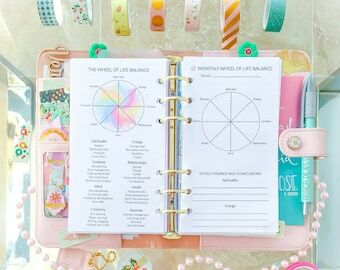 LIFE BALANCE WHEEL A4 will help you to identify whether or not you live a balanced life. 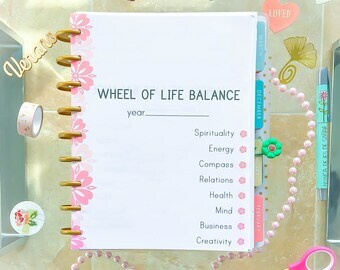 Consider each area of your life and see if there are areas that need more/less attention. 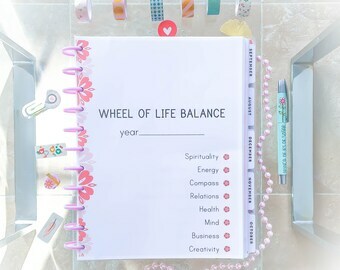 ═ Monthly Wheel of Balance - allows you to get a visual representation of the way your life is currently, compared with the way you'd ideally like it to be. 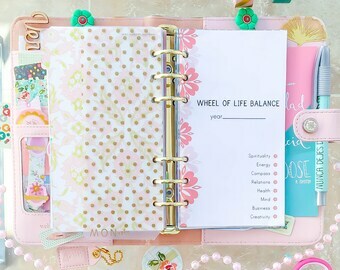 Keep in mind that LIFE BALANCE WHEEL A4 blanks are for personal use only. You are not allowed to edit and resell any of these files. 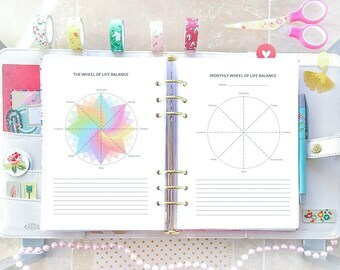 The LIFE BALANCE WHEEL A4 will be provided in PDF format and is NOT editable. Please understand that we cannot offer refunds on digital designs, but you can be sure that we will do our best to satisfy your requirements. 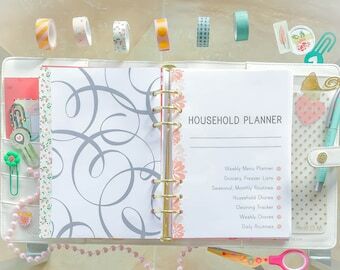 We will not rest until make you happy and satisfied with your purchase.